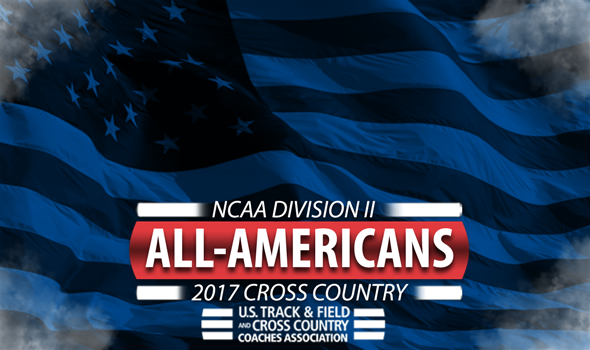 NEW ORLEANS – All-Americans for the 2017 NCAA Division II Cross Country season were announced Monday by the U.S. Track & Field and Cross Country Coaches Association (USTFCCCA). A total of 80 student-athletes earned All-America honors by finishing among the top-40 at the 2017 NCAA Division II Cross Country Championships this past weekend in the men’s and women’s races. Adams State swept the championships for the first time since 2009 on Saturday in Evansville, Indiana. The men’s team tied for the lead in their gender in All-America selections with five, while the women’s squad tied for the second-most with three. The Grizzly men defeated Grand Valley State by a score of 46-66, as all five Adams State scorers finished in the top-17. Kale Adams paced the squad with a third-place finish, while Elias Gedyon and Joshua Joseph also finished in the top-10. Lucio Ramirez and Sydney Gidabuday rounded out the scorers for the Grizzlies. The Lakers also notched five All-Americans after all five of its scorers finished in the top-34. Runner-up Zach Panning led the way for GVSU, followed by Enael Woldemichael, Wuoi Mach, Brady Selner and Abe Visser. On the women’s side, Adams State snuck by U-Mary, 126-137, for the team title, but it was the Marauders that garnered the most All-America honors with four. Alexis Zeis paced U-Mary with a 12th-place finish and is joined by Jaiden Schuette, Kate Fox and Kaycie Stewart as All-America recipients. The Grizzly women tied with GVSU and Cal Baptist with three All-Americans each. The RMAC was the best represented conference for the men with total 14 selections, followed by the GLIAC with six and the NSIC and PacWest with three apiece. In terms of class, there were 16 seniors, 13 juniors, eight sophomores and just three freshmen (Visser, Woldenmichael and Cal Baptist’s McMarshall Hartzenburg). The NSIC posted the most All-Americans on the women’s side with eight, with the RMAC right behind them with seven. The GLIAC and GNAC each had four. Upperclassmen dominated the All-America honors on the women’s side, with 22 seniors and 10 juniors earning the accolades. Additionally, there were seven sophomores and one freshman in Western State’s Aneta Konieczek. Only athletes that compete for USTFCCCA member institutions are eligible to earn All-America status. National Athletes and Coaches of the Year will be announced Tuesday.